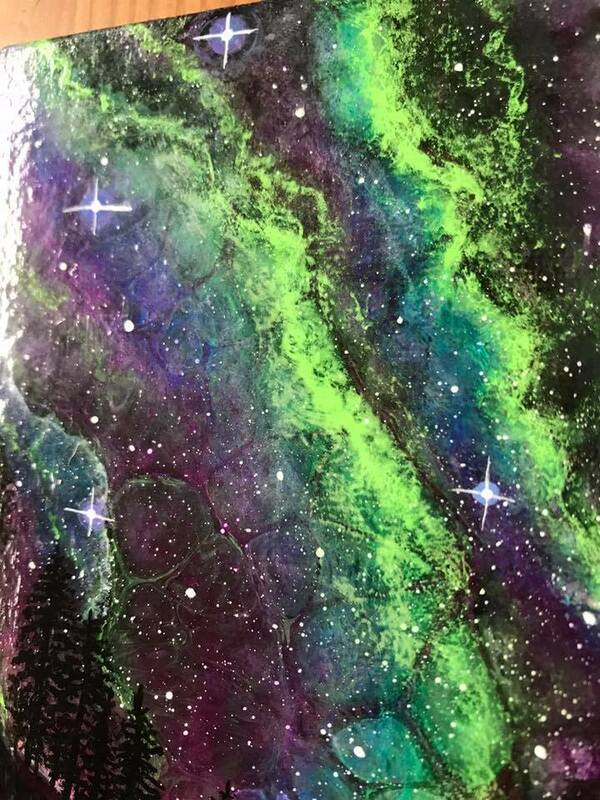 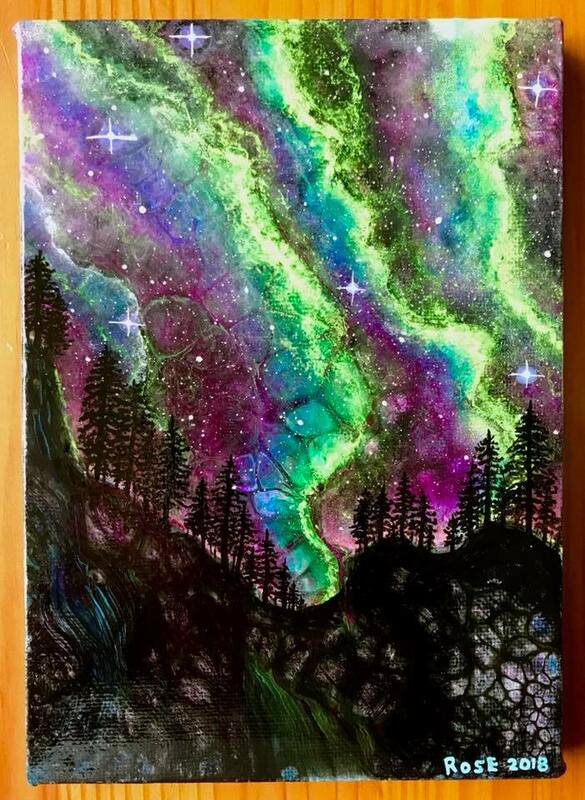 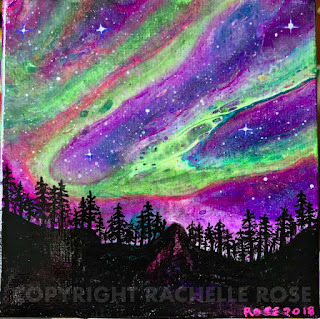 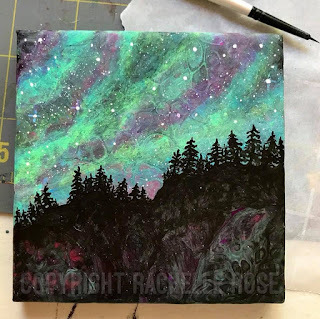 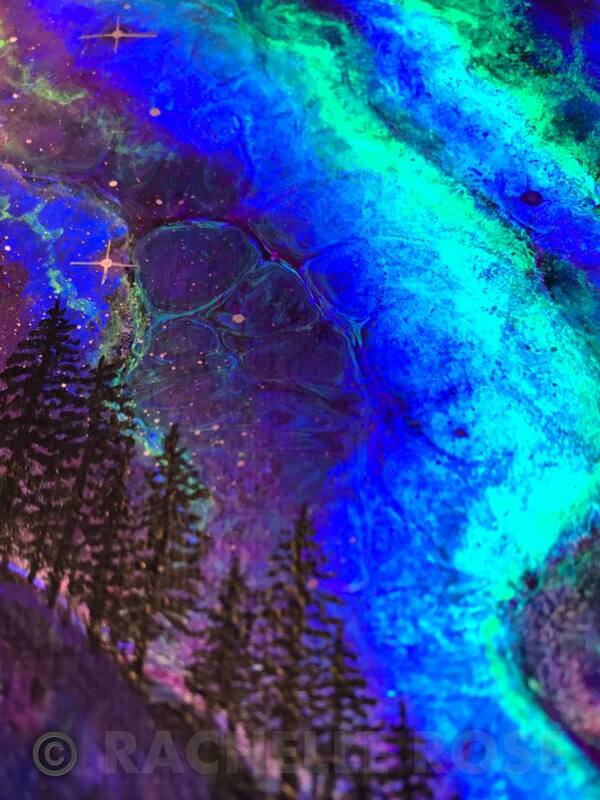 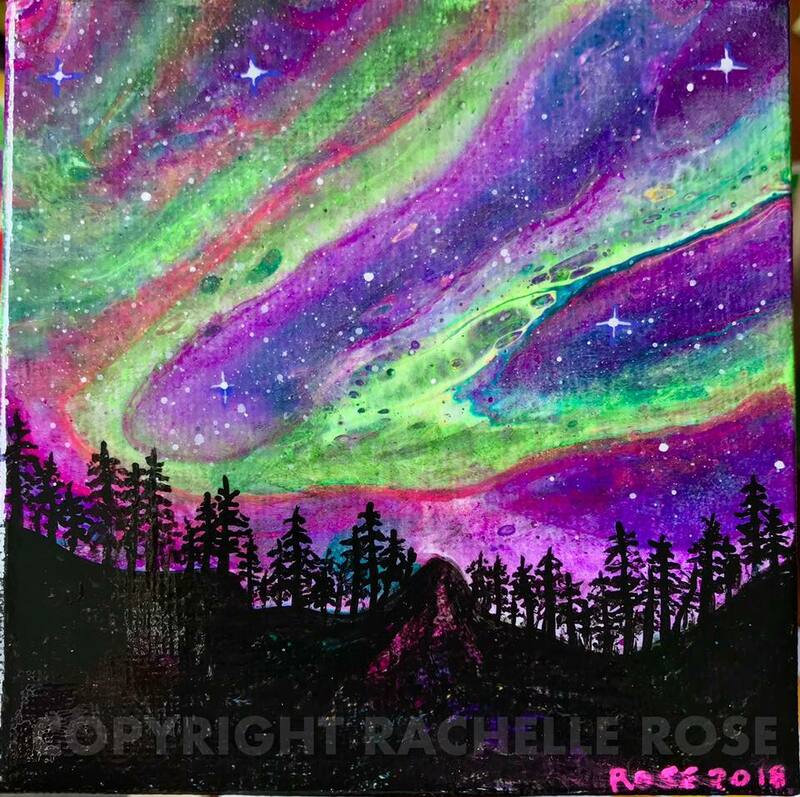 I've been painting a few tiny Northern Lights lately! They glow under black light and are really fun. Seeing the Aurora Borealis is on my bucket list. 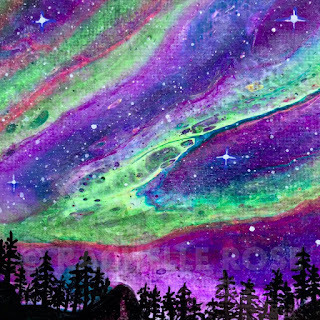 I don't know when I'll have the means to travel to Iceland and sleep under one of those glass-roofed yurt things. But in the mean time, I'll paint them while the mood strikes. 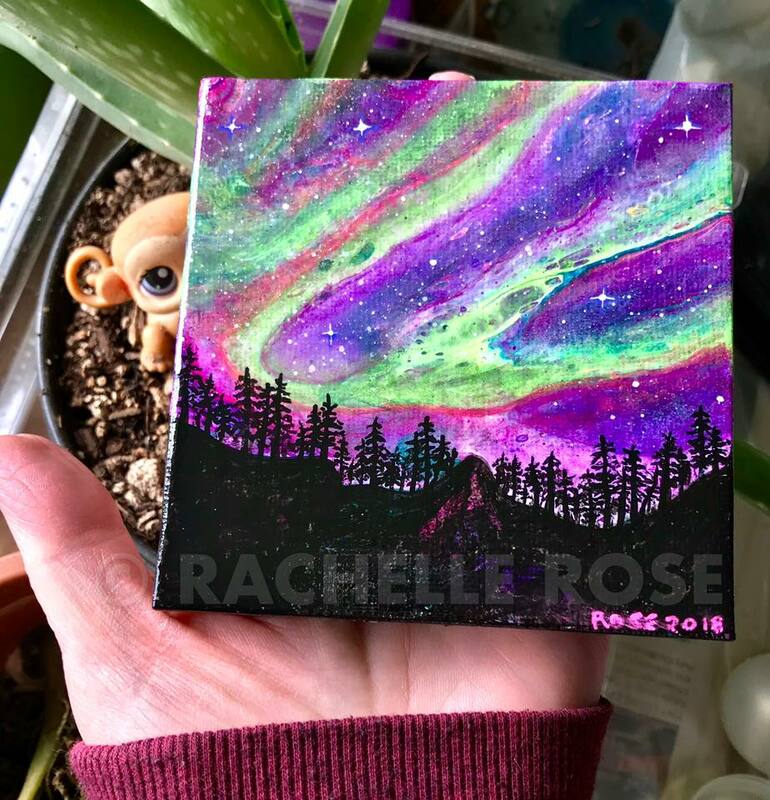 These all have homes. 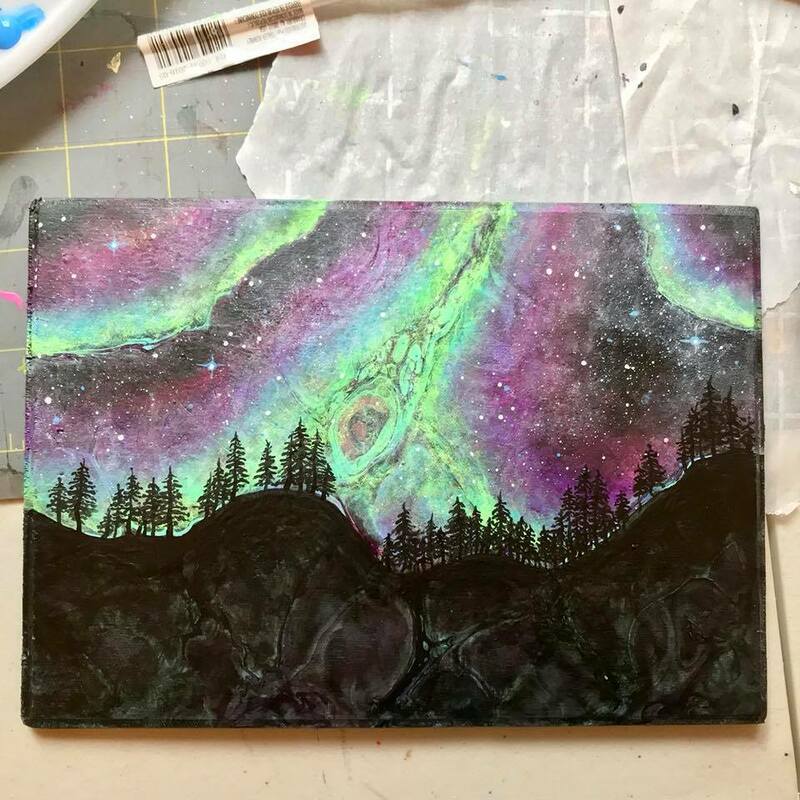 But I will make more! 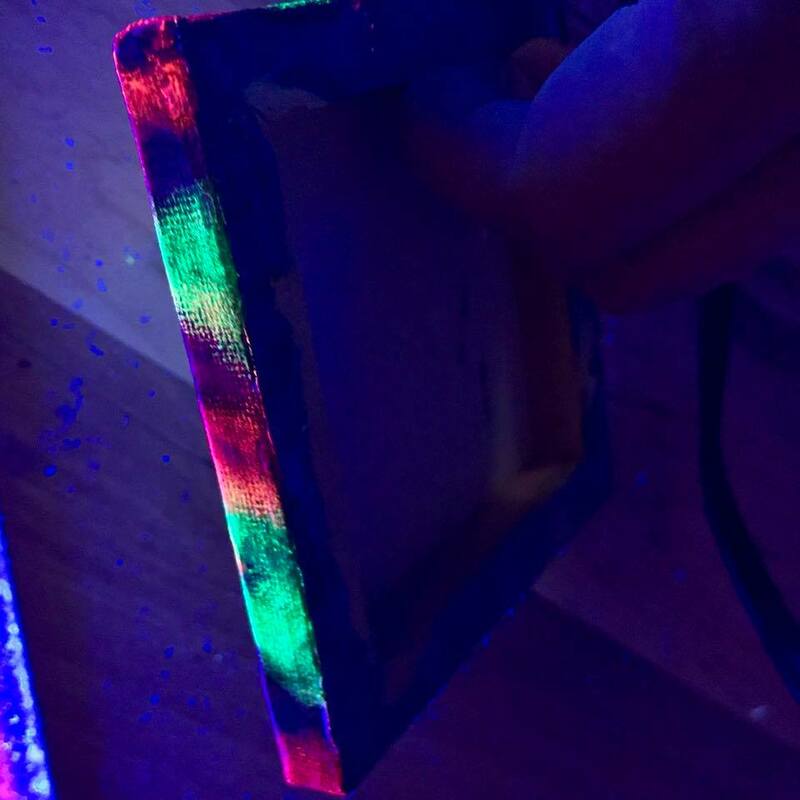 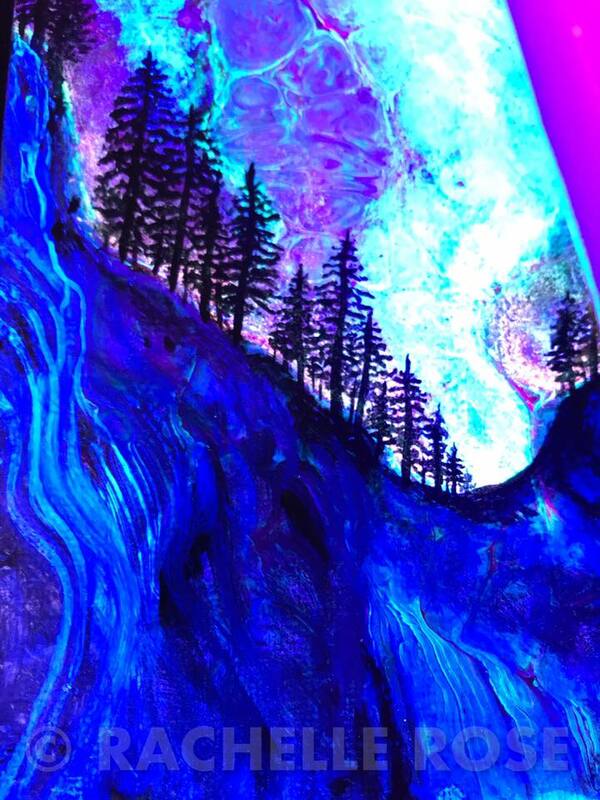 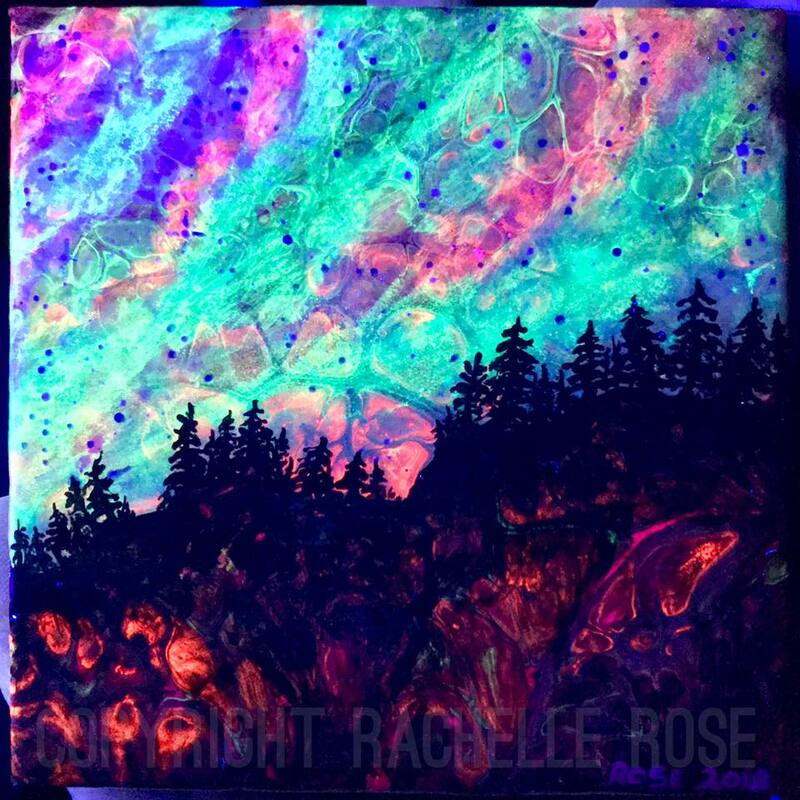 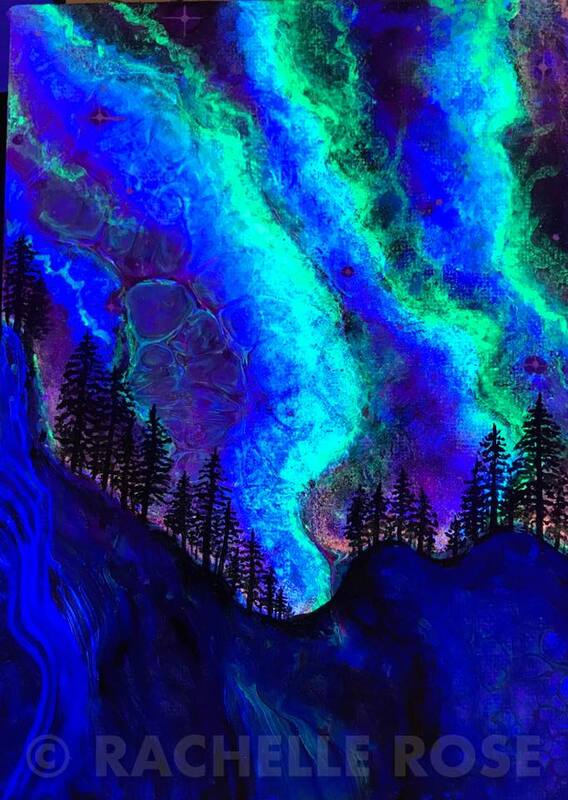 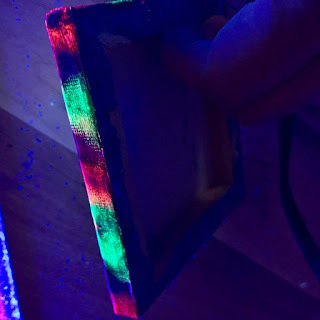 Some of the photos show what the paintings look like under black light. WOOOOOOooooooOOOOOOO! 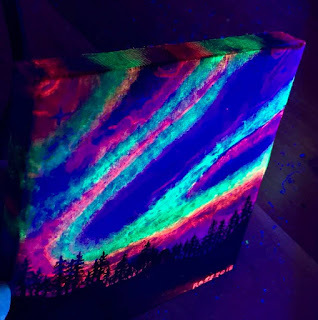 All of these small paintings were made by doing an abstract "poured painting" underneath with fluid acrylic techniques that included neon/black light paint. 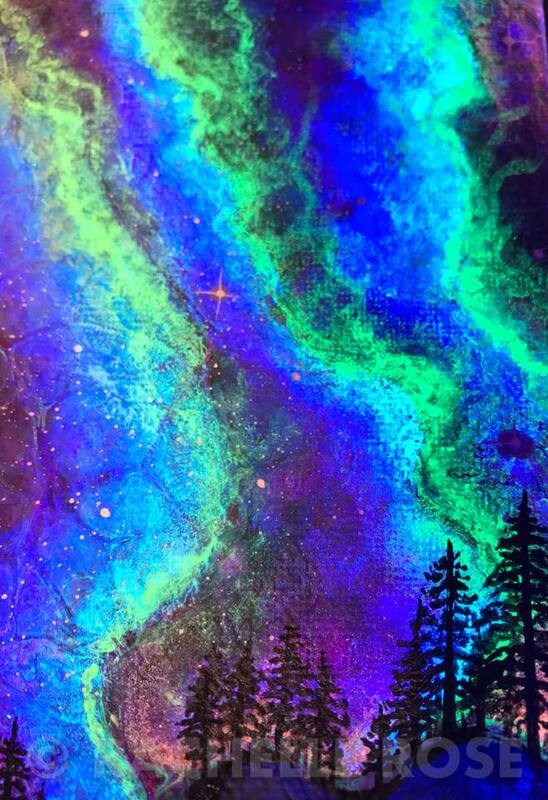 If you look closely, you can see the "cells" underneath the painting. 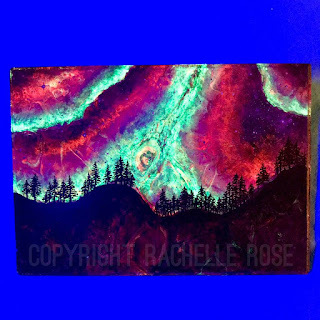 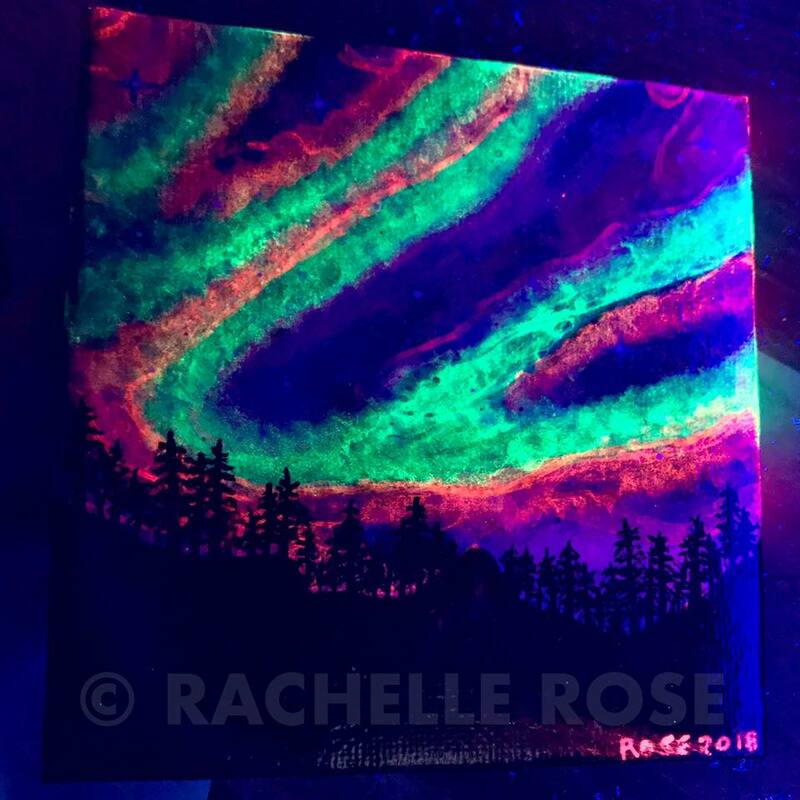 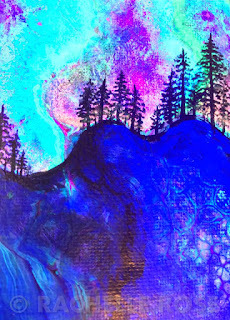 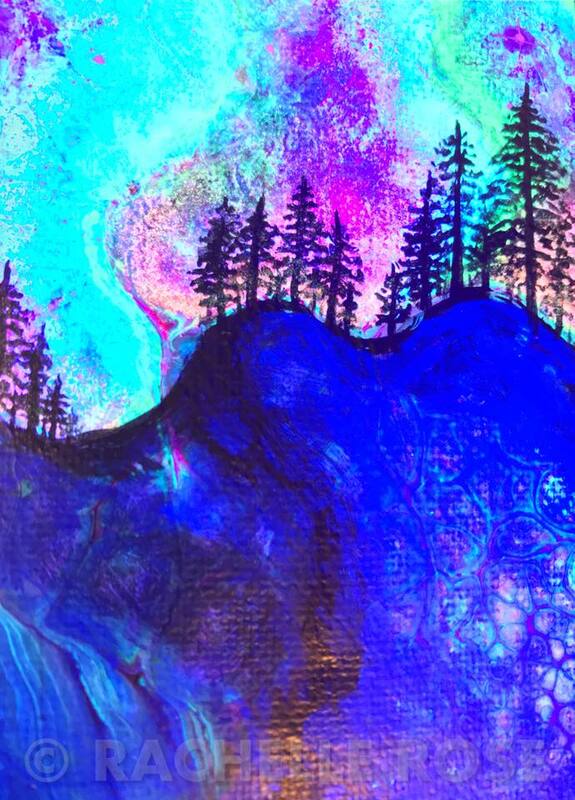 They were then embellished with more neon paint and black paint to form the silhouette terrain, trees, and stars.